The 1420mm wide satin graphite traditional free standing double basin vanity with cupboard unit is ideal for busy bathrooms, part of the Chatsworth range of quality bathroom furniture. Victorian inspired design with a modern twist. 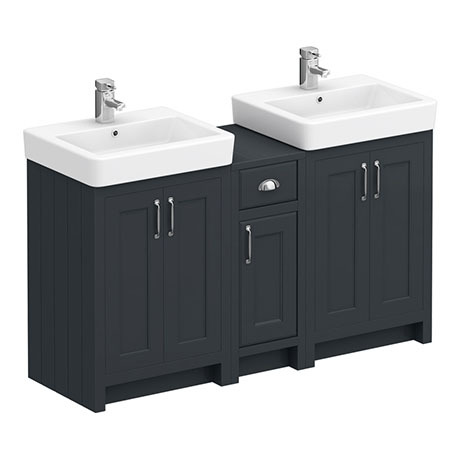 The Chatsworth range of charming bathroom furniture features classic styling with a satin graphite finish cabinet and tongue-and-groove side panelling.